A WONDERFUL ARTICLE I RECEIVED ALMOST 20 YEARS AGO FROM A GOOD FRIEND. •To recognize and appreciate our backpack of support – our external sources of motivation – before a random guru (or someone with far more crooked intentions) has to steal it from us so that we can finally see what we have always taken for granted. •To be present and tap into our own hearts and minds – our internal sources of motivation – which have the power to push us back up on our feet and guide us down the road to our backpack of support, even when it appears to be lost forever. I'LL ADMIT THAT I'VE FELT LIKE THIS MANY TIMES AND I'VE WALKED A VERY TOUGH PATH WHERE I QUESTIONED THE "LOYALTY" FACTOR THAT I'VE GAVE UNCONDITIONALLY TO FAMILY AND FRIENDS WHO I LATER FIND THAT THEY ARE MY BIGGEST TAKERS AND LET DOWNS, AND EVERY TIME I FIND OUT, IT JUST MAKES IT HARDER FOR ME TO TRUST THEM AND YET I STILL FIND IT IN MY HEART TO FORGIVE AND TO CONTINUE GIVING TO THEM. 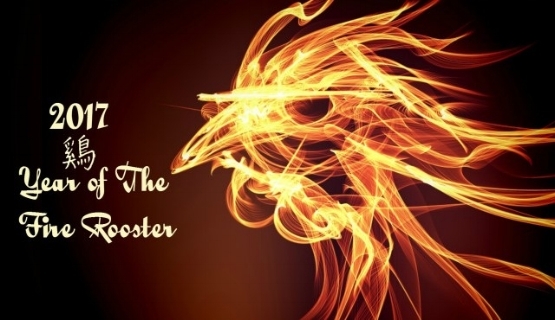 WELL THE YEAR 2017 IN THE CHINESE CALENDER IS THE SIGN OF THE "FIRE ROOSTER", WHICH ALSO MEANS THE ROOSTER IS AWAKE EARLY BEFORE THE CRACK OF DAWN AND READY TO SOUND OFF THE MORNING, SO YOU BETTER BE READY BECAUSE THE ROOSTER DOESN'T WAIT FOR ANYONE, "
LUCKILY FOR ME, MY CHINESE ANIMAL IS ALREADY AWAKE BEFORE THE ROOSTER WHICH MEANS I'M ALREADY AHEAD OF THE DAY, EVERYDAY!!! THIS IS THE YEAR OF "A'OLE" TO THE FRENEMIES!!! YOU'VE BEEN WARNED AND WISHED WELL, DO NOT TAKE THESE WORDS FOR GRANTED.